Financing is available, subject to a credit status check, for Gas, LPG & Oil fired domestic central heating and/or hot water system upgrades and replacement systems. The financing is provided, through our Consumer Credit partner, Homesmart Finance. √ Have this boiler installed from £1,850 fitted with 10 years warranty. √ 60 months finance package from £38.83 per month (9.9% APR). √ Includes FREE magnetic system filter. √ Have this boiler installed from £2,100 fitted with 12 years warranty. √ 60 months finance package from £44.08 per month (9.9% APR). 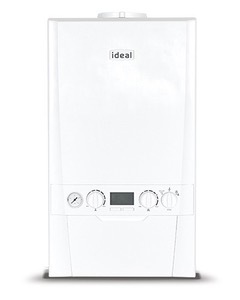 √ Have this boiler installed from £2,105 fitted with 7 years warranty. √ 60 months finance package from £44.18 per month (9.9% APR). √ Includes FREE Worcester magnetic system filter. √ Have this boiler installed from £3,450 fitted with 5-year warranty. √ 60 months finance package from £72.42 per month (9.9% APR). √ Includes FREE Grant magnetic system filter. Call us on 01506 411 921 | 01506 439 077 to find out more.